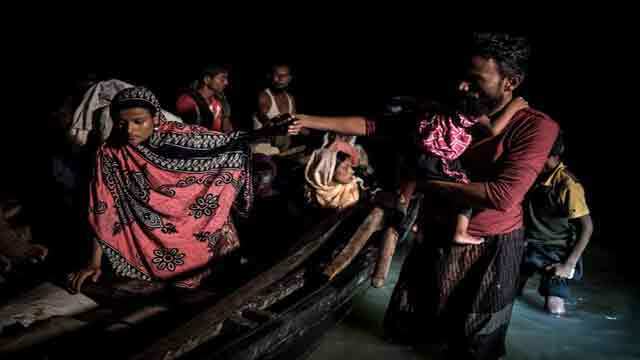 Dhaka, Dec 28 (Just News): Over 40 British doctors, nurses and firefighters from the UK’s Emergency Medical Team are arriving soon in Bangladesh to help the government save thousands of lives at risk from a rapid and deadly outbreak of diphtheria in Rohingya camps in Cox’s Bazar. ‘This is the first ever deployment of Britain’s EMT since it was certified by the World Health Organisation in 2016 and will see more than a dozen medical heroes fly out shortly after Christmas on 28 December, followed by the rest in the days after,’ the British High Commission in Dhaka said in a release on Thursday. The UK’s latest response follows a formal request for assistance from the World Health Organisation and the Government of Bangladesh after more than 2000 suspected cases and 22 reported deaths from the airborne virus. Diphtheria is a fast spreading, extremely deadly infection, and there are a reported 160 new cases every day in Cox’s Bazar, which is home to more than 600,000 Rohingya people who have recently fled the violence and military persecution in Myanmar. The EMT will be deployed to Cox’s Bazar for six weeks, where clinicians will work using existing health facilities. This will include 36 medics from National Health Service (NHS), such as doctors, nurses and epidemiologists who will provide immediate specialist life-saving care to tackle the diphtheria outbreak. Besides, five logistics staff from UK fire and rescue services will be there for providing expert advice to create the right infrastructure for the EMT to start their urgent work. ‘An advance team already travelled to Cox’s Bazar on Wednesday to make logistical preparations’, the release said, adding that following pre-deployment training, deployment of the doctors and other staff are expected to begin today.